Building Homes for Heroes is extremely thankful to Truck Hero for their generous support. 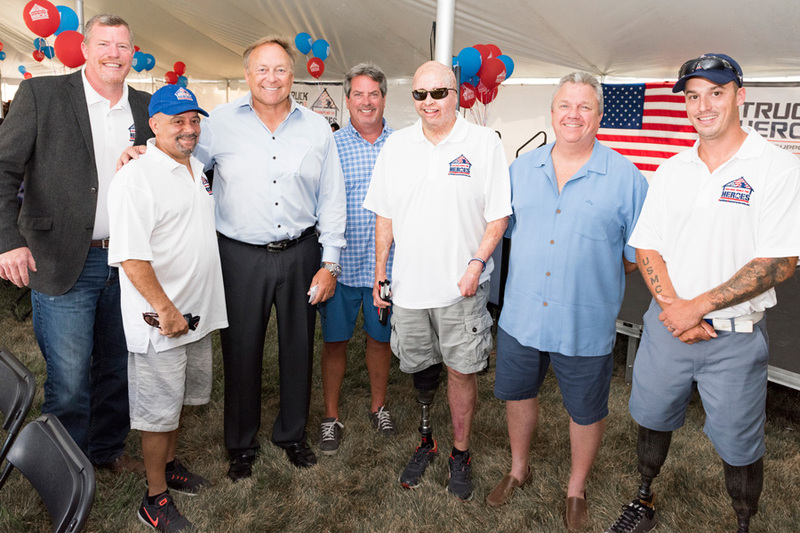 Their donations will contribute to several mortgage-free home gifts for our nation’s severely injured veterans. Together, we are building homes and rebuilding lives, while making our communities and country a better place. "BHH would like to say a special thank you to Truck Hero for your continued support of our program. This year our organization was cordially invited to attend the company's employee appreciation picnic where we were given a $50k donation for our cause. Thank you to Truck Hero's CEO Bill Reminder, Executive VP of Marketing Sean Marks, David Wells and Ray Daigle for your commitment to this amazing partnership!"